The PowerPlant Hobby Kit is a complete horticultural lighting system. This system comes with a PowerPlant 600w DayLite Ballast and a PowerPlant EuroWing Reflector. 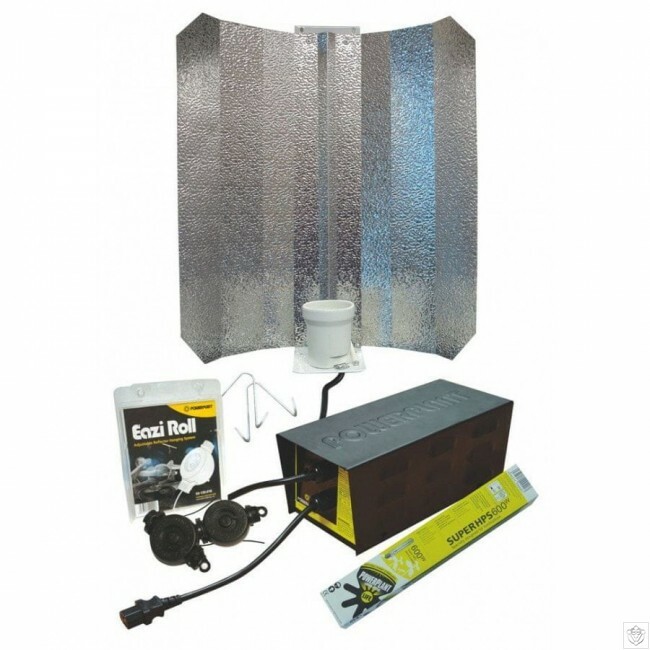 Also included is a pack of 2 Eazi Rolls to allow for height adjustment, a PowerPlant HPS lamp and hanging hooks. It is ready to use.